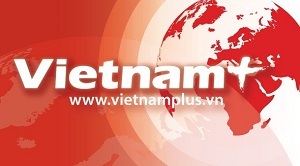 Welcome to the official website of the Embassy of Viet Nam in Washington D.C.
Decades of economic renovation have transformed Viet Nam into a lively market. The country now boasts diplomatic ties with nearly 180 countries and trade relations with more than 200 economies all over the world. With approximately 90 million hard-working and talented people, rich in natural resources, home to numerous world heritages, and located in the center of a dynamic economic growth region, Viet Nam is an ideal place to visit and do business. In 1995, Viet Nam established its Embassy in Washington D.C. following the normalization of diplomatic relations with the U.S. As relationship grew, since 2013, the two countries have established the Comprehensive Partnership, outlining wide-ranging areas of cooperation. On these two decades, we recognize the astounding achievements recorded so far in many areas of our cooperation, including in particular economic and trade relations, cooperation in addressing war legacy issues, as well as in science and technology, education, healthcare, environment, climate change, security and defense, and in regional and global issues of mutual concern. Today, Viet Nam and the US have solid foundations for a strong partnership, as we look toward the future of our relations and build further upon our comprehensive partnership. 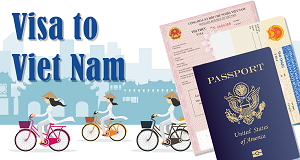 To further mutual understanding and friendship and help you learn more about Vietnam, the Embassy of the Socialist Republic of Vietnam would like to invite you to visit our website. We are happy to provide you with further information and welcome your comments. Thank you.